Okay guys, so it’s no secret that I love treats, but it’s been my goal lately to find the COOLEST desserts in every city I visit. How do I find them? 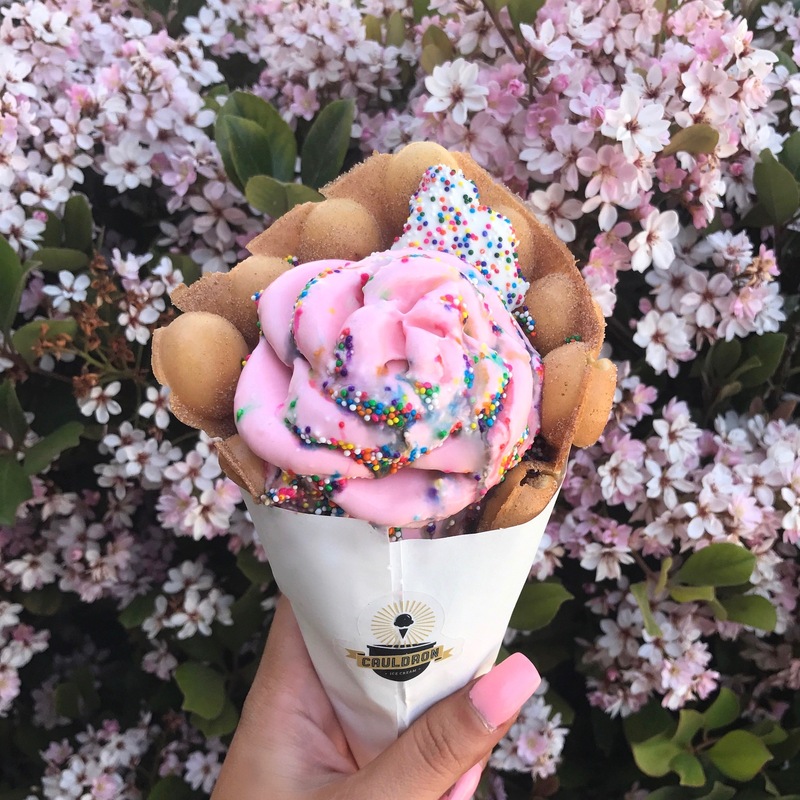 Mostly Instagram and sometimes word of mouth, but it takes a lot of time just searching hashtags all day, so I’ve rounded up a few of the coolest desserts I’ve found in Southern California for all of you! And don’t worry, if you’ve already heard of these awesome places below, I’m going back to SoCal in May to snap some more insta-worthy pics that will be sure to satisfy your sweet tooth… So stay tuned for Pt.2! Oh my gosh you guys, this place is HEAVEN! Not only do they have a ton of delicious, unique ice cream flavors, you can also get a churro waffle as a cone (pictured below)! You guys KNOW I love me some churros so I was in AWE! I went with the circus animal cookie ice cream and my oh my it was good. Not to mention they can shape your ice cream into a flower!! You guys HAVE to try Cauldron Ice Cream ! 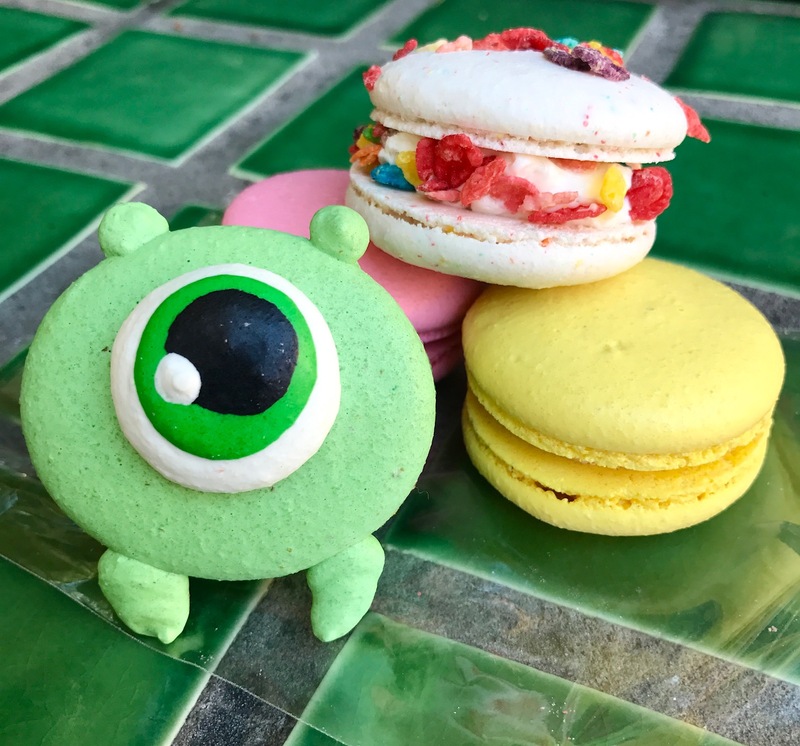 So macarons are cute enough on their own, but when they are made into creatures, you know you HAVE to have them! I saw on their Instagram that they open at 10:00am for their regular cookies, but 12:00pm is when they put out the CREATURES!! The place was packed and I didn’t plan accordingly because I arrived 15 minutes after 12:00pm and the line was out the door!! I was praying I would at least get 1 creature before they all sold out because I was only in the area that day and couldn’t come back the following day.. Long story short, the girl right in front of me got the last corgi creature, but I did get mike from Monsters Inc, so you guys can get a glimpse of one of their creatures below! My advice if heading to this macaron parlor, GET THERE EARLY!! EEEKK!!! This place has my heart! 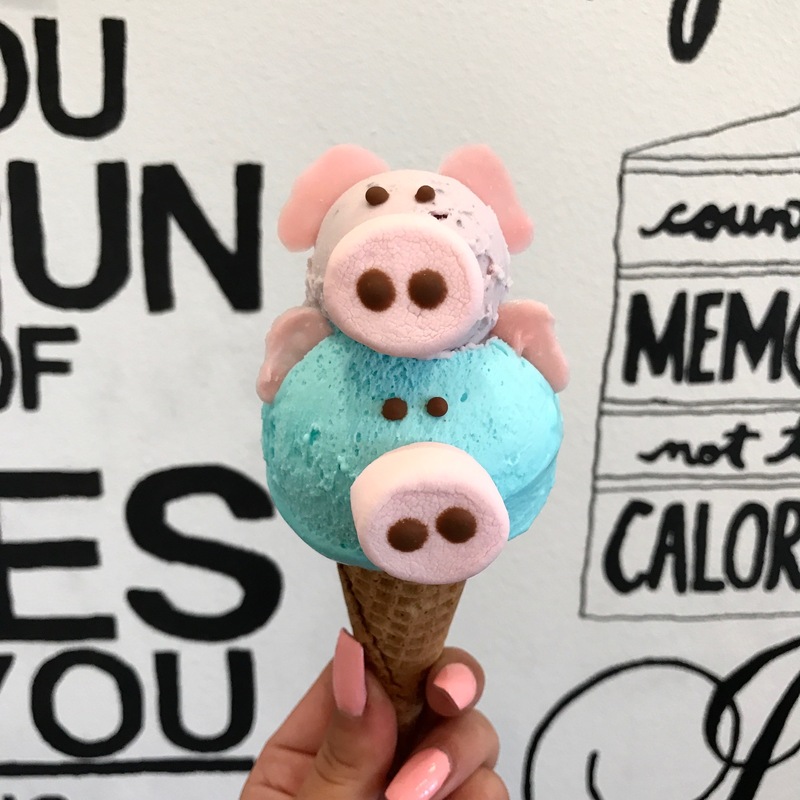 Eiswelt Gelato creates the cutest little ice cream animals!! You have to check out their Instagram to see everything they can make, but I went with piggy & piglet! The flavors were so tasty and the marshmallow nose and chocolate ears were just the icing on top! I am a huge fan of donuts and cereal, so what better place for me than California Donuts?! 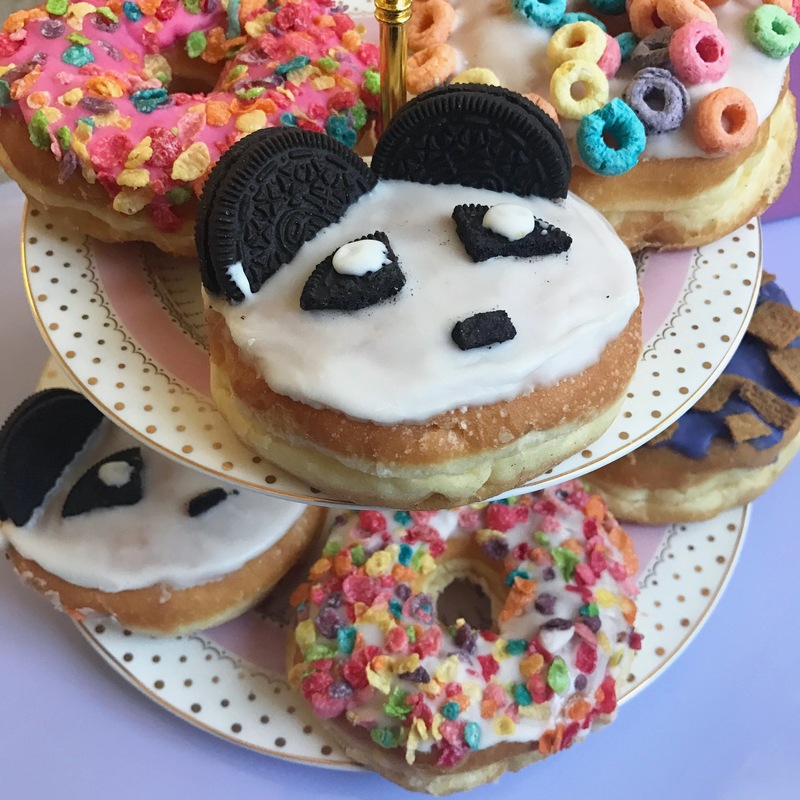 This creative and colorful donut shop has everything you could as for! They can even make custom orders for your upcoming party or for your daily Instagram photo shoots. The panda below has got to be my favorite though! Spice up your coworkers day with a fun box of these treats!! Once again, I’m in churro heaven! 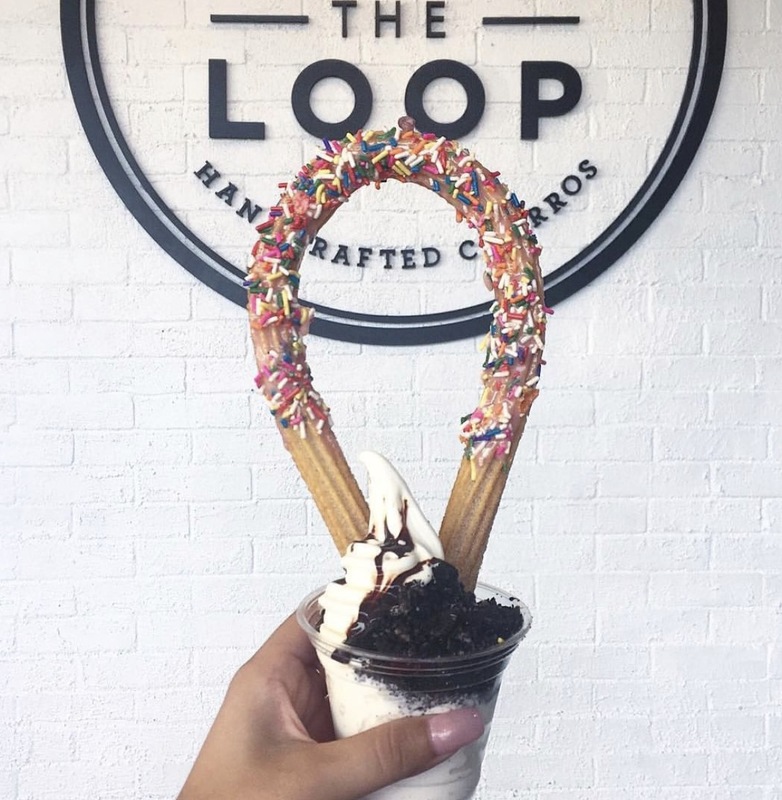 The Loop has tons of different flavor combinations, including 5 dipped flavors, 5 glazed churro options and 5 chilled options where the churro is in the ice cream (pictured below). This infamous location is always busy, so expect a little wait, but it is DEFINITELY worth it!!! Does it belong on the list of the coolest desserts? I think yes! This pop-up is the cutest, pink, mobile cafe I’ve ever seen! 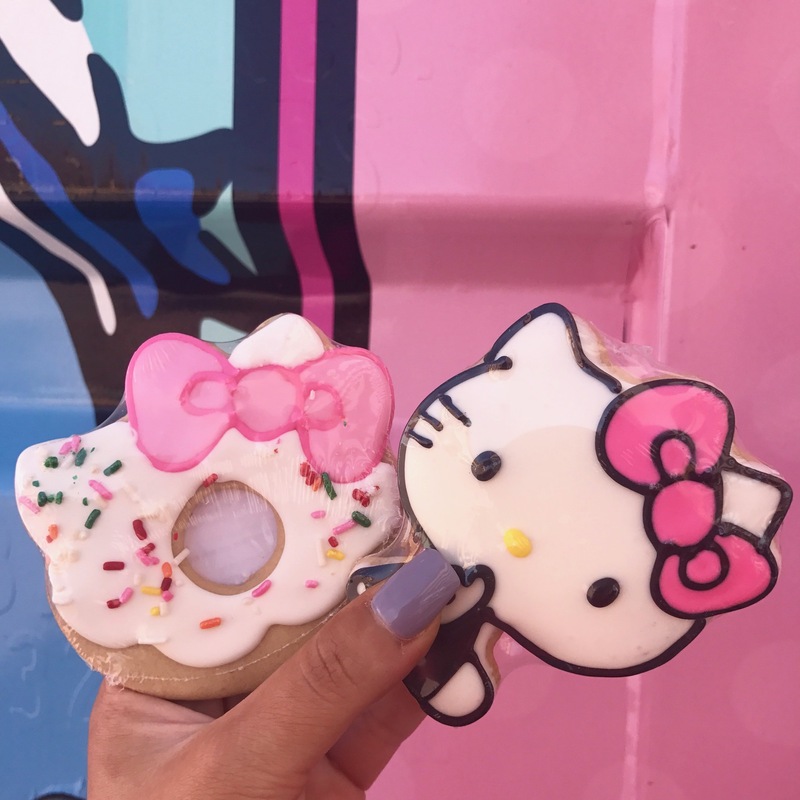 Located in the middle of the Irvine Spectrum Center, near the beautiful ferris wheel, you can find this Hello Kitty lovers dream. They have everything from cookies, to cakes to fun little souvenirs. It is said that their year long residency will become permanent, but we will see! I sure hope so! But luckily for those who aren’t in the area, you can find this mobile pop-up in many major cities near you, including Miami, Tampa, Boston, New York and the list goes on! Just head over to their Instagram and find a location near you! And if you liked this post, check out this post to see where you can find the best churro’s in the country! Can you take me to every one of these places? Right now!